In May of 2011, OCZ announced a new type of firmware for Indilinx-controlled drives. That firmware, named for a type of carnivorous fish, carried the name Arowana Flash Translation Layer. Eventually, the Rowana FTL made way into the Vertex Plus family, however, enthusiasts with the original Barefoot-controlled drives would have to wait until now, 10 months later, to get a chance to update their SSDs. 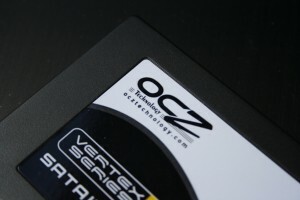 OCZ has a good track record of supporting it’s drives through firmware, and the three-year-old Vertex has seen countless FW releases since early 2009. Recently, OCZ’s Octane drives were given a new FW release which increased random write IOPS by a healthy margin.